Picture rail is the safe, flexible and durable method for hanging art and other objects. 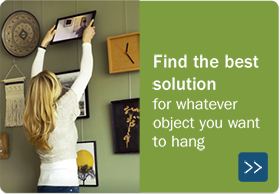 Rearrange pictures without tools, without wall damage! The picture rail is an old invention. In most cases, this functional molding was made of wood, installed just below the ceiling. It is most commonly seen in traditional homes with plaster walls. Hammering nails into the plasterwork will damage the wall. Instead of using nails, pictures can be suspended from the picture rail hanging sysem by using a wire and a picture rail hook. Rearranging the pictures is as simple as moving the hooks around. 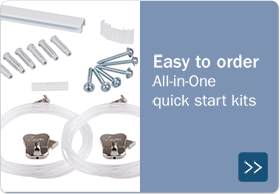 Combining a traditional picture rail molding hook with a perlon cord and a STAS picture hook is the safest and most flexible way to hang your pictures from a wooden picture rail hanging system. If you prefer a more modern look, you’re in the right place! 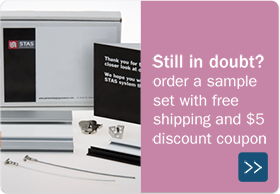 Our webshop offers a modern alternative to the traditional picture rail. Our picture hanging systems are very small, sleek and elegant. They are perfect for modern home interiors, offices, museums and galleries. The functionality is exactly the same as the traditional, old fashioned picture rail: to hang pictures with wire and picture rail hooks. 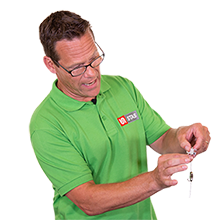 This makes it easy to adjust, rearrange and add picture frames without using any tools or nails. 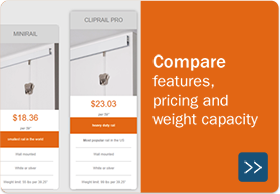 Weight limit: 55 lbs per 39.25"
Weight limit: 99 lbs per 39.25"
We offer modern versions of matching picture rail hooks as well. 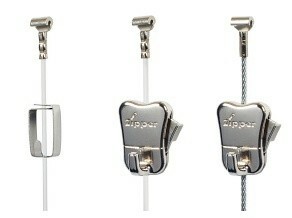 The patented STAS zipper and STAS smartspring picture hooks are designed to support heavy picture frames. Picture rails have always been used for its decorative aspects as well. All kinds of decorated picture rail hooks have been made throughout the years. These picture hangers are also available in matching Victorian style and their appearance is very, very traditional.